You have probably noticed that from time to time we like just to give you the specifications of a certain product without discussing on its price and performance. Today I am going to do exactly the same thing with the Asus X550CA-DB31 laptop which is basically a 15.6-inch mid-range laptop with pretty good specs. The modification X550CA-DB31 is one of the highest for this specific Asus laptops model line and as you will see it shows off with some pretty good hardware. Well, the Asus X550CA-DB31 has some pretty good stuff under the hood and so is the claimed by the manufacturer battery life. I am not quite sure it is achievable in normal working conditions but for the price of around £300 the X550CA-DB31 is definitely worth taking a look at. 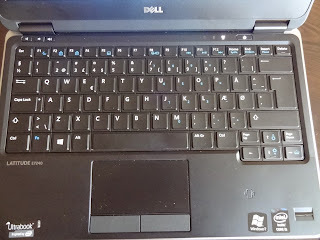 If you are in the search for an affordable and yet reliable laptop you I would also recommend you the Asus X55V laptop which is quite good value for the money.